This page offers you the latest updates on job postings for fitness instructors, personal trainers, yoga teachers, studio managers as well as open studio space available for rent in Chicago. If you’re a gym owner looking to hire instructors, staff or rent out your space, fill out this simple form. Ready to check the listings? Want to feature your gym or studio’s opportunities? Fill out this short form! 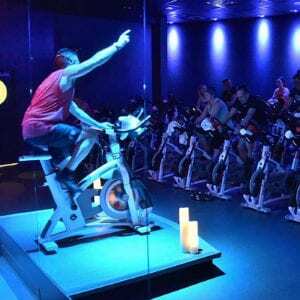 Chicago fitness enthusiasts no longer have to endure the pain and exhaustion of a 60-minute high intensity class to get their desired results. 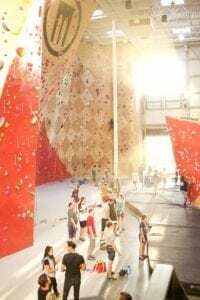 GOAT Climb and Cryo is opening at 300 W. Ontario St. to bring Chicagoans the only studio in the city fully equipped with VersaClimbers – a combination of a stepper and a climber that provides a highly efficient, effective full-body workout in just 30-minutes. 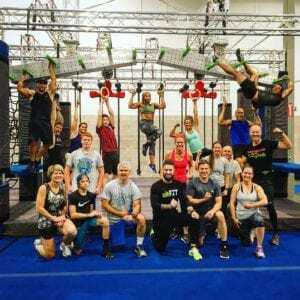 GOAT Climb and Cryo is looking for talented, high-energy instructors to teach 30-minute Cardio Climbing classes on the VersaClimber. Experience is not mandatory, we’ll fully train you to be a greatest of all time VersaClimber instructor! The only requirements are to have a passion for fitness, enjoy teaching, have a positive attitude, enjoy a nightclub setting, and listen to great music. Perk: Instructors will receive a discount on recovery services (cryotherapy, cryoskin, infrared sauna, NORMATEC, etc). 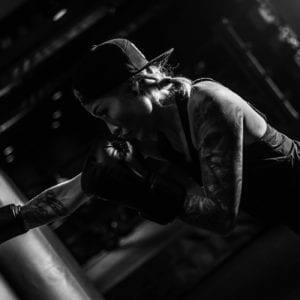 We are seeking leaders who are passionate about teaching our authentic boxing workout built to deliver an accessible, approachable + challenging experience. Our instructors are brand leaders who are equipped with the knowledge to guide our clients through a safe, effective + motivating journey. With our first splash into the Chicago market our instructors will be instrumental in our success, growth and build of our community. 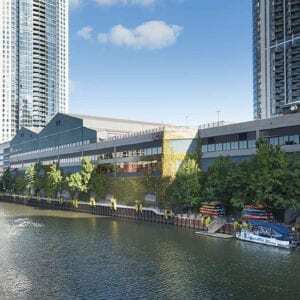 CycleBar River North (720 N. Lasalle) will be hiring instructors for an April/May opening this Spring! Looking for talent to help us hit the ground running within the boutique fitness community of River North. Experience is not mandatory as there will be an intensive boot camp which will certify to become a CycleStar. These upcoming auditions will decide who gets accepted into the boot camp program. We are prioritizing rhythm on the bike and a passion for fitness in our CycleStars. 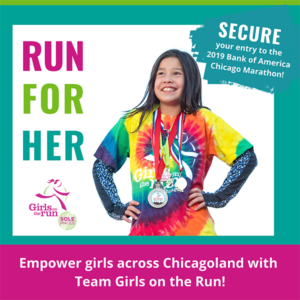 Auditions will be held late March 2019 in 15-minute time slots at CycleBar Fulton Market, 175 N. Halsted St. Email Abby Gaulin at [email protected] for more details and to sign up for an audition slot in March. What you’ll do: Blaze a trail at Midtown Athletic Club. Our RIDE instructors are equal parts performer and teacher—and bring their passions to life in our signature cycling programs. You will lead classes with your personal brand of performance that engages, energizes, and entertains our members with a full audio/visual experience. You love making every moment memorable for your audience. A passion for crafting inspiring experiences. A love of performance and movement. Midtown instructors are as excited to learn as they are to teach. 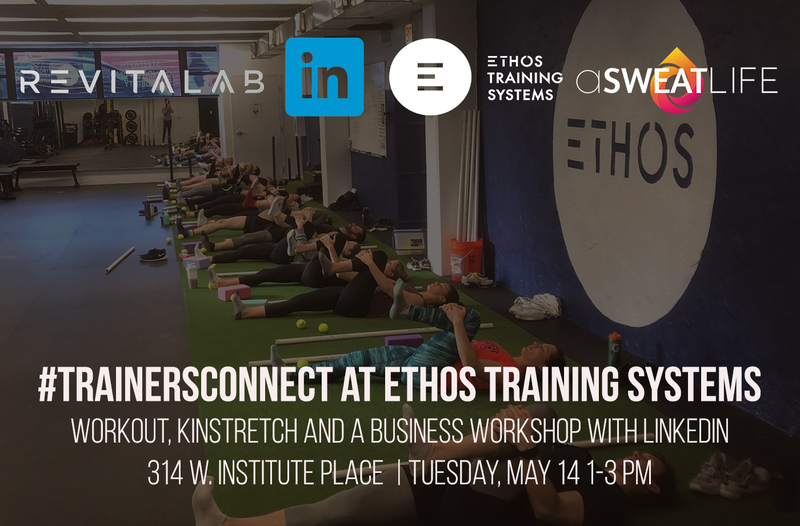 Our instructors are encouraged to grow their skillset at Midtown University and pick up skills that allow them lead a variety of classes across a range of boutique studios, or become certified personal trainers. 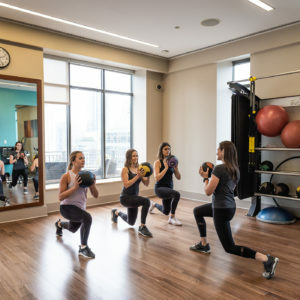 In addition to competitive pay, benefits, and a complimentary membership, Midtown allows instructors to build their brand and follower base while taking advantage of the name recognition that comes with working at Chicago’s premier fitness club. Fighters wanted at Midtown Athletic Club. 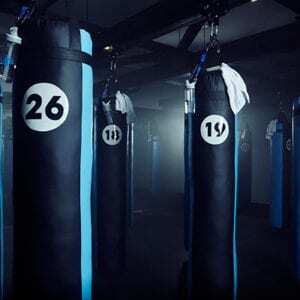 Our EverybodyFights (EBF) boxing studio is looking for high intensity instructors to lead our high intensity boxing-based fitness classes. Ideal candidates love to perform and can captivate an audience while leading a fitness class. Instructors push our members to peak performance and inspire them to keep fighting. You should be able to roll with the punches as well as throw them, or put your guard down to engage with and encourage members one on one. Be friendly and outgoing before, during, and after fighting. Be driven to challenge and encourage members. The tenacity to lead group boxing classes. Maintain at least one nationally recognized certification in Group Fitness. Have experience teaching boxing-based fitness, martial arts or group fight style classes. Finish EverybodyFights Training within first 60 days of hire. Midtown instructors are as excited to learn as they are to teach. 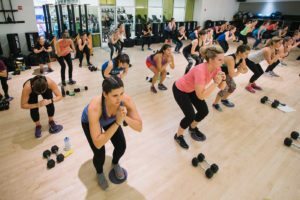 Our instructors are encouraged to grow their skillset at Midtown University and pick up skills that allow them to lead a variety of classes across a range of boutique studios, or become certified personal trainers. Schedule can be Full time or Part time. Looking for 2 candidates to work 15 hours per week administrative work plus lifeguarding. Candidate must have a flexible schedule and work weekends. Job Summary: Overseeing pools to facilitate a safe and well run environment for all members. Has knowledge of rules and answer any questions. Ability to respond appropriately to emergency situations. Has the necessary skills to enforce pool guidelines with a kind member service approach, and lead staff by example and making assignment adjustments as necessary. Leads Summer Buddy system by awarding praise points. • Acquire Red Cross Lifeguard Instructor certification within 60 days after hire. Pilates Job Description: Candidate must have a completion of a minimum 400-hour comprehensive Pilates Teacher Training Program and a Pilates certification including but not limited to BASI, STOTT, Physical Mind, Balanced Body, or Pilates Method Alliance Certification. Rehabilitation and/ or exercise physiology background, or Gyrotonic certification is a plus. Group class experience is preferred. Individual must have a strong customer service background and be able to work as part of a team. Schedule is evenings and weekends. Commission based position (50%). East Bank Club is recognized as the country’s most gracious and dynamic fitness, sports and dining facility. Located in Chicago’s River North neighborhood, the Club opened its doors in 1980 and employs more than 650 employees. 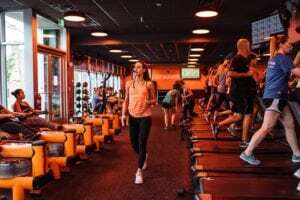 East Bank Club has set the standard for first-class hospitality and excellence in the fitness industry, a standard exemplified by each employee. The bond employees create with fellow staff, members and the Club itself keeps members and employees returning day after day. Join a team of seasoned instructors (Our staff average is around 5 years of experience. Two of our staff members have been on board for 11 years. That is basically unheard of in this business.) Annual continuing education stipend and annual in house continuing education workshop with industry leaders that staff members are paid to attend Complimentary in house workshops on topics such as anatomy, biomechanics, training principles No sales quotas EBC offers a generous benefit package, discounted parking, discounts in the Proshop and Food Shop, and workout privileges. Full time employees (working 30hrs per week) are eligible for health benefits. SALT Fitness is looking for motivating, experienced, knowledgable, team players to teach barre and cycle. 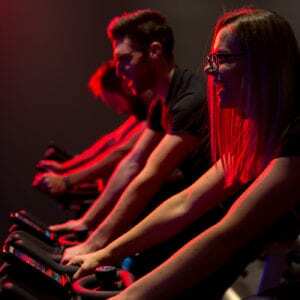 Who we are: SALT Fitness is a best in class fitness studio offering Barre, Indoor Cycling + FIT (interval) classes in a dynamic and fun work environment. At SALT we believe in strength. Strength in our bodies, in our minds, and in our community. And we are on a mission to build the strongest team of instructors in the city. Who you are: Positive, inclusive, inspirational, connected, entrepreneurial, passionate about fitness & health and wellness, a team player. You care about having fun, just as much as providing a hard workout. You understand the importance of using correct form. You have a strong passion for music and curating playlists. You’re willing to learn and grow, responsive to feedback, and knowledgable of physiology, exercise technique and body mechanics. 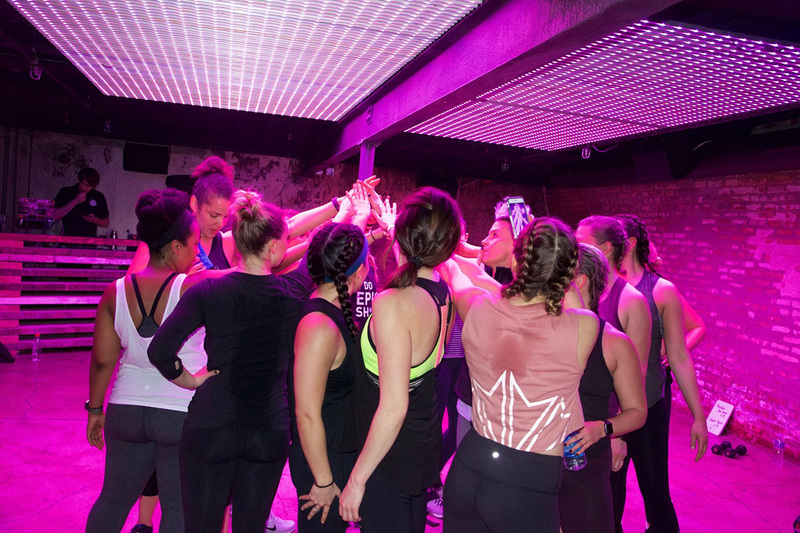 What we can offer: Competitive pay, options to grow and lead within the team (mentorships, workshop hosts, team lead), opportunity to train and teach in multiple disciplines (Barre, Cycle, FIT interval, stretch and strength), a flexible class format that allows for creativity to express yourself, continued education and mentorship. How to apply: Please reach out to Tami Conway, [email protected], with questions and to apply. Instruct group fitness classes and or conduct personal training sessions in Chicago residential buildings. LulaFit is a concierge fitness and wellness company, providing on-site personal training, nutritional counseling, massage therapy, wellness coaching and group fitness. Our clients are busy people with demanding careers, and we make it easy for them to prioritize wellness by bringing our services to them. 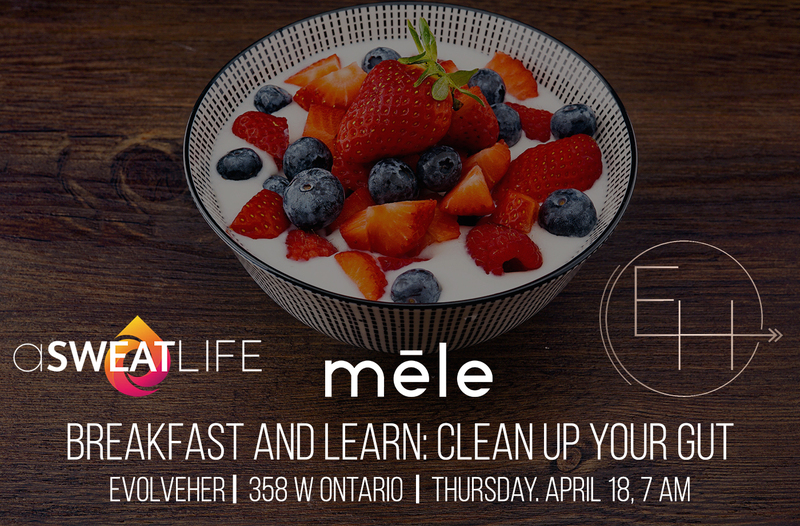 To make living a healthy lifestyle sustainable and accessible through movement, food, and restoration. We deliver what our client needs, the way they need it, where and when it’s most convenient for them. 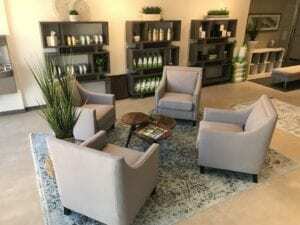 We provide in-home, concierge fitness and wellness services to busy people, including: personal training, nutritional counseling, massage therapy, personal chef services and wellness coaching. We bring our client these individualized programs, motivation and support all in the comfort of their home. We create a completely customized fitness and wellness plan that is manageable, flexible and fun, so our client doesn’t have to dread the little time they spend on themselves. How to apply: Go here to apply, and reach out to Ashley McCullough at [email protected] with questions. Now hiring Founding Crew Leaders to teach a revolutionary workout format (rowing experience not necessary). Join the Crew at Iron & Oar and lead the way in the evolution of fitness. Our 45 minute rowing based fitness classes are the perfect combination of Strength & Cardio. 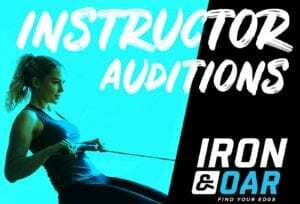 We are looking for 2 additional Founding Instructors to pave the way for a nation wide expansion of the Iron & Oar brand. Compensation is based on experience, base plus attendance bonus. Vesting equity options for founding trainers, and ability to grow with the company. We are looking for a personable, upbeat, positive, passionate, assertive individual that can create a fun and challenging environment for clients of all ages and abilities. 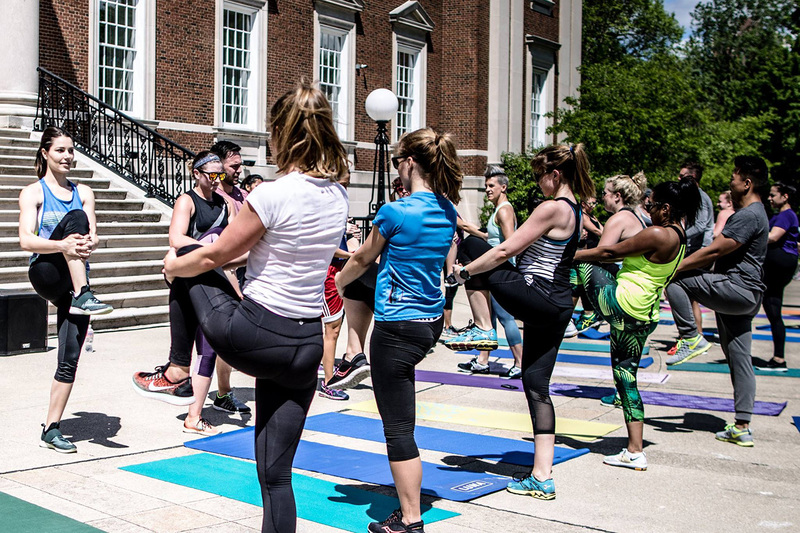 ultiFIT is looking for someone who can lead a class full of clients (up to 25) and still make their experience feel personal. We need someone who can modify and progress workouts for clients that may need it tailored back or vice versa, more challenging. We are looking to create a culture where everyone cheers each other on and everyone is working toward progress. We need someone who is able to talk about memberships, make potential sales and send emails to clients (if need be). We need someone who can delliver a high energy, challenging and fun workout to all of our clients. How to apply: Fill out an application for ultiFIT online. Contact Brian Redard at [email protected] with any questions! We’re looking for a creative person, excited by the prospect of providing amazing experiences to our community members. Driven by their passion to improve the lives of others through exercise, making it beautiful in the process. Someone who has a positive, vibrant presence and energy. Fitness Instructors at BKB are responsible for teaching a variety of perk classes to our members and guests. 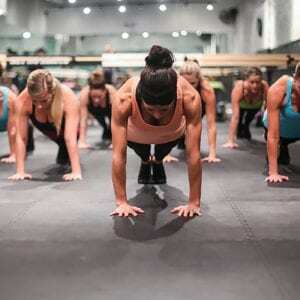 The Fitness Instructor will ensure the timely start and finish of each class, and create class curriculums and outlines that are engaging and inspiring to our community. Climbing experience is a plus! How to apply: Email Daniel Rudolph to apply! We’re looking for an enthusiastic, motivated individual stoked on helping others achieve their goals. Someone who’s passionate about fitness and self-discovery. Someone who is relentless about improving their craft. The Personal Trainer (PT) performs climbing and fitness assessments with community members and prospective clients, delivering unique and integrated personalized climbing and fitness programming to meet or exceed those goals. The Personal Trainer participates in sales, promotions, and events as necessary. They must be able to schedule and follow training guidelines according to standard operating procedures of the product team. 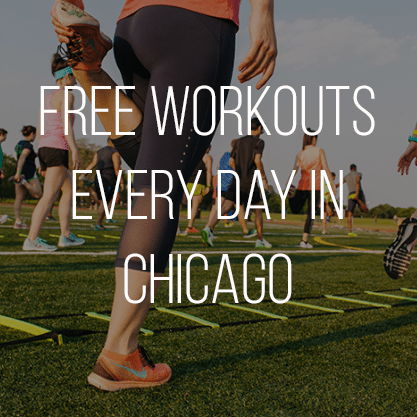 Spynergy Wicker Park is looking for motivational, high energy, fitness professionals who love music and community. Spynergy offers a no-frills, heart pumping work out for all fitness levels. We’re a brand new studio excited to hire instructors who help us create a solid foundation and loyal following. Orangetheory Fitness River West is looking for fun, smart, passionate fitness professionals to join its rapidly growing fitness team! As a Orangetheory Coach, you will be responsible for executing our scientifically proven predesigned workouts for our classes. Current Personal Trainer or Primary Group Exercise Instructor Certification from select accredited bodies such as but not limited to ACSM, ACE, NASM, NSCA, ISSA, AFAA. How to apply: email Jessica Beresford [email protected]. As the Service Manager, you will be responsible for growing, managing, and developing our team of Service Providers. LulaFit provides on-site concierge fitness programming. The Service Manager will recruit, hire, on-board and develop our Service Provider staff. This team includes Personal Trainers, Group Fitness Instructors, Massage Therapists, and Nutritionists. The Service Manager plays a vital role in order to maintain our growing and developing staff. relations, advertising, social media marketing, national initiatives, and partnerships. The VP of Brand Strategy will approve all brand materials and social media content. Welcoming face of the the studio, demonstrating high level customer service including check in, retail and general information. 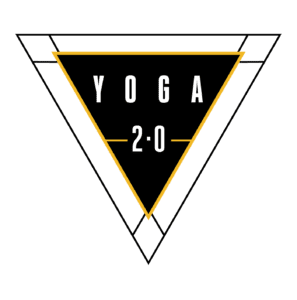 within the Yoga 2.0 family are considered best in class and we will hold you to that standard each and every shift! Pure Barre is the national leader in barre fitness. Our tried and true technique set the standard for barre, and yet we’re always still evolving to deliver the best full body workout every.single.time. our clients walk through the doors. The Pure Barre experience is driven by music, focused on form, rooted in community, and proven by results. We’re expanding our Pure Barre West Loop and Pure Barre Fulton teams. We’re looking for a Lead Sales Associate who is passionate about fitness, goal-driven, and committed to best-in-class customer service. The Lead Sales Associate oversees all sales and customer service activities during their shift. This role is the face of our business during our busiest hours, welcoming clients into our space, understanding their goals, matching our services with their needs, and fostering a supportive and meaningful community. * Able to work afternoon/evening shifts (approx. 3pm – 7:30pm) Monday-Thursday and Saturdays (8am-12:30pm). * Ensure a best-in-class studio environment by maintaining a clean and organized studio, fully stocked retail, smooth client check-in process, etc. Studio Manager takes an active leadership role in upholding the Shadowbox service standards. Managing effective team processes, and successfully communicating the Shadowbox mission all while setting the tone + pace for our brand expansion into a new market. LifeStart Wellness Network is the fastest growing corporate wellness company in the fitness industry. We consistently evolve with market trends, but always stay dedicated to helping our clients reach their goals. With over 50 corporate fitness facilities in the Chicagoland area we are looking for a high energy, motivated Fitness Director to create a dynamic and engaging community. Benefits: LifeStart is committed to investing in our employees. How to apply: All qualified candidates ready to have fun every day and change people’s lives should apply at www.lifestart.net/careers. We look forward to you joining our amazing team. VIVE is looking for a thought leader in the wellness industry, experienced leadership, self-motivated and a passion for community outreach as we build the first national REST and RECOVERY wellness brand dedicated solely to simultaneous mental and physical restoration, specializing in float, cryogenics, full-spectrum infrared sauna, vibroacoustic and halo/dry salt therapies. Has an innate love for mental and physical wellness. Is drawn to learning about all-natural, alternative modalities. Will manage the day-to-day operations, with Assistant Studio Director, to include but not limited to hiring, scheduling, payroll, booking software, and maintenance of equipment. Responsible for communicating and upholding VIVE’s calm, clean and curative environment and leading by example. Manage a clean, friendly and well maintained studio. Ensure that team members consistently execute the basics in punctuality, dress code compliance, friendliness and cleanliness. Train and develop a strong team with the sole purpose of caring for those entrusted to our care and studio standards. Responsible for the successful attainment of targets, including revenue and member retention. Design, build and implement ongoing corporate wellness programs, local partnerships and outreach. Maintaining inventory of Bleu Boutique product and make recommendations of future product purchases. Partner with other Studio Directors and Managing Director to further VIVE’s purpose and mission as an overall R & R wellness company. 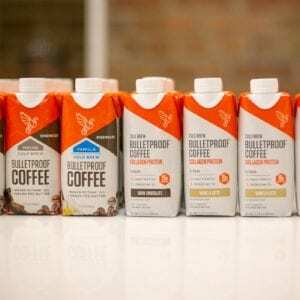 Bulletproof is seeking it’s next Chicago Field Marketing Representative member. As a Bulletproof Crew Member, you’ll utilize your outgoing, energetic and knowledgeable personality to execute events and demos. You could be using a company vehicle to travel to different locations and get customers excited about our products. This is an exciting time to join a rapidly growing company representation one of the hottest brands. This is a seasonal position with variable hours working with amazing people. Maximum fun, maximum knowledge, and maximum performance, are a part of the job description, and you’ll get to work with the team on a regular basis to upgrade your game, your mental performance and your life. This is also a terrific opportunity to grow with the company. To apply and to read all the details about the Field Marketing Representative role at Bulletproof, go here. Our high growth company is seeking an energetic Field Marketing Coordinator (FMC) to join our field marketing team. In this role, the FMC will support the Field Marketing Manager in creating a combination of in-store demos, local market events, and multi-element partnership programs in support of our 5 core products. This role is primarily in the field (75%) with approximately 25% of responsibilities being administrative, off premise. The ideal candidate is goal-oriented, and has experience quickly establishing relationships and managing a growing field team. The FMC will have a thirst for excellence and a passion for the Bulletproof lifestyle. This is a full-time position based in the Chicago area. Maximum fun, maximum knowledge, and maximum performance are a part of the job description. You will get to work with a team on a regular basis to upgrade your game, your mental performance, and your life. To apply and to read all the details about the Field Marketing Coordinator role at Bulletproof, go here.